RVUNL Junior Engineer Admit Card 2018 – What is the Release Date of Raj RVUNL JE Call Letter? Applicants those are filled online form of RVUNL 1151 JE Vacancy are searching also RVUNL Junior Engineer Admit Card 2018. If yes, then here is good & latest news for you. Rajasthan Rajya Vidyut Utpadan Nigam Limited is going to conduct written examination for Junior Engineer Posts. Candidates those are going to attend the examination must download Raj RVUNL JE Call Letter 2018. The examination will be going to held on July 2018. Here we also provide the direct link to collect RVUNL Junior Engineer Exam Admit Card 2018. So check full article carefully. Rajasthan Rajya Vidyut Utpadan Nigam Ltd. will take place Junior Engineer exam on July 2018. A large number of applicants are going to participate in the examination. 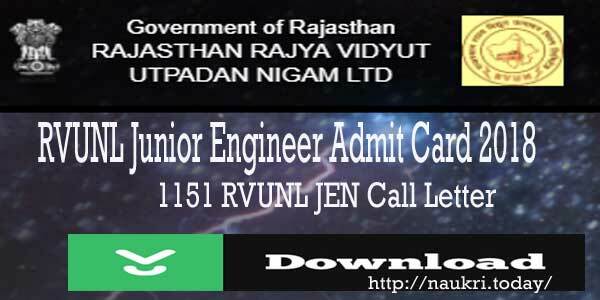 if you want to download Rajasthan RVUNL Junior Engineer Call Letter 2018 collect here. The online link is available to get RVUNL JE Admit Card 2018 at the end of the article. Furthermore, information what is the release date of Raj RVUNL Junior Engineer Hall Ticket? How to download Rajasthan RVUNL JE Exam Call Letter is mention below section. Fresh Update as on 27th July 2018 : The Rajasthan Rajya Vidhyut Utpadan Nigam Ltd. has released RVUNL JEN Call Letter for all successfully applied candidates. The Junior Engineer (Elect.) Exam will going to held on 29.07.2018 & 31.07.2018. Other examination like Junior Chemist and Informatics Assistant will also held on 29.07.2018. So now you can download RVUNL Junior Engineer Admit Card 2018 from here. The direct link will mention on below segment. Fresh Update as on 20th July 2018: Dear Candidates, If you are searching Rajasthan RVUNL Junior Engineer Admit Card 2018 then here is the latest news for you. Rajasthan Rajya Vidyut Utpadan Nigam Ltd is going to conduct Junior Engineer exam in July 2018. Applicants can download their RVUNL JEN Call Letter before 10-15 days of examination. Connected with us for more latest updates. Fresh Update as on 14th July 2018: Rajasthan RVUNL Examination for Junior Engineer filling up 1151 posts will organize on August 2018. The exact date of the examination will announce very soon by the department. If you are seeking RVUNL JEN Admit Card 2018 can download here. The examination will going to held on 29th & 31st July 2018. Rajasthan Rajya Vidyut Utpadan Nigam Limited has published the advertisement on 12.06.2018. RVUNL JE Notification is released for 1151 JE Vacancy. Applicants can start to fill up Junior Engineer online form from 14.06.2018. Closing date of online registration till the last date i.e. 02.07.2018. Now the applicants who have successfully filled the online form download RVUNL Junior Engineer Admit Card 2018. The examination will be going to conduct on July/August 2018. The department soon announces the date of releasing RVUNL Hall Ticket 2018 for Junior Engineer Exam. Applicants can download their Rajasthan RVUNL Junior Engineer Call Letter through official links given below. 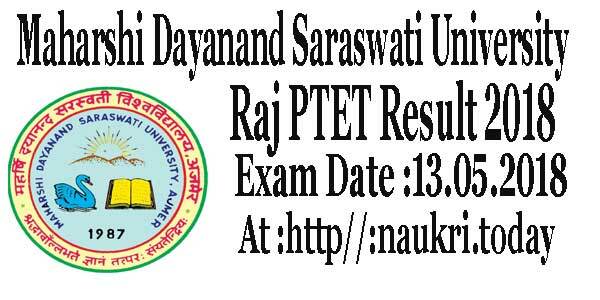 Only candidates those are successfully filled the online form, can participate in the examination. 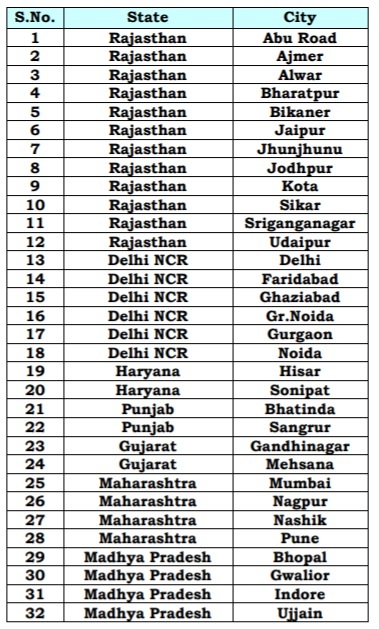 To qualify RVUNL Junior Engineer Examination, applicants must check Rajasthan JE Syllabus 2018. In this, we are mention topic wise and subject wise syllabus. The department will conduct written examination to select candidates for 1151 posts. Computer-based written examination conducted for Junior Engineer and Junior Chemist. The question paper is divided into two parts. The duration of examination is 02 hours. The weightage is given on below section. Applicants those are going to attend written test must download RVUNL Junior Engineer Admit Card 2018. According to exam perspective, your RVUNL JEN Hall Ticket is the important document. you must have your Rajasthan RVUNL Junior Engineer Exam Call letter if you are going to attend the test. It contains all important information related to your examination. Here in below section, we mention some details available on your RVUNL JEN Admit Card 2018. If you are successfully filled the online form and interested to attend the examination must bring your RVUNL Junior Engineer Admit Card. With your Raj RVUNL JE Call Letter, you also carry one photo id & photograph. if you don’t take this you are unable to attend the examination. In below section, we provide some of id proofs that applicants can bring with RVUNL Junior Engineer Call letter 2018. If you are going to attend JEN Exam 2018 then you must have RVUNL Junior Engineer Hall Ticket. You can download it through online mode only. No Postal RVUNL JE Admit Card send to candidates. So here you can download your Raj RVUNL JEN Call letter to follow some instructions. First of all, candidates go to official site energy.rajasthan.gov.in. Search link to download RVUNL Junior Engineer Call Letter 2018. Click on the link and then a new window will open. Enter all required information like registration no. password, dob & others. Submit your information and then again a new window will open. Now your RVUNL JEN Admit Card is in front of you. Download Raj RVUNL Junior Engineer Admit Card 2018. Take print out and must bring at examination time. Conclusion : RVUNL Junior Engineer Admit Card 2018 for 1151 JEN Vacancies. The examination will be going to held on July/August 2018. Download your RVUNL JEN Call letter 2018 before 10-15 days of examination.